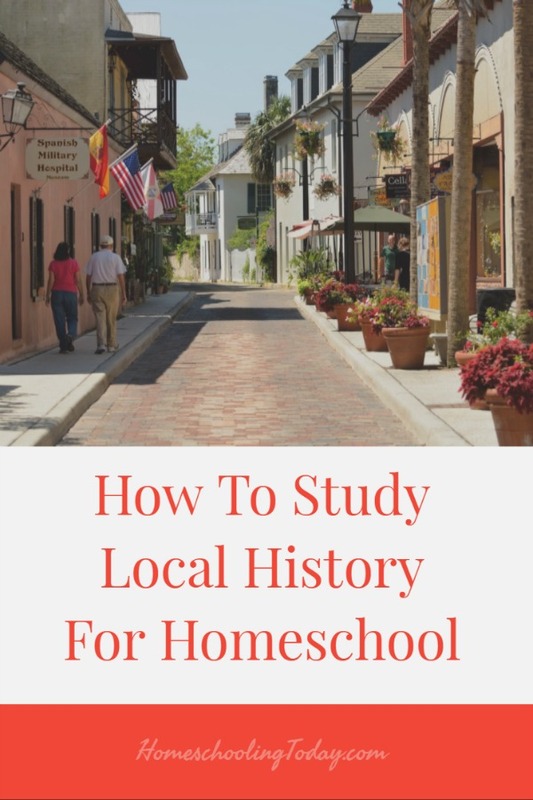 Most of us think of two main areas of study when it comes to homeschool history – American history and world history. Those are important subjects for students to learn about and should definitely be part of any student’s education. While studying Ancient Egypt with its pharaohs and pyramids or the American Civil War with its battles and ideologies is fascinating, sometimes it’s fun to study subjects that hit a little closer to home. 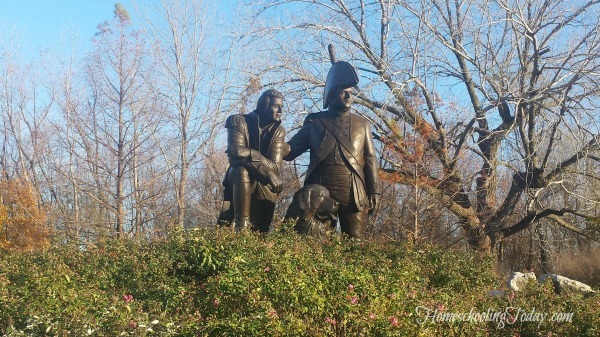 Have you ever thought about studying the history of your town or region? No matter where you live that place has a history. People lived and visited there for a reason. Events took place there. Wouldn’t it be interesting to know more about those people and events? For instance, I currently live in Peoria, IL. In our study of the area, we have learned that this was once of whiskey capital of the world. Yep. From 1837 to 1919, Peoria IL had over 24 breweries and 73 distilleries. At its peak, taxes on the alcohol made in Peoria supplied nearly half of the federal government’s entire revenue. Whiskey money allowed people in Peoria to build grand houses, churches, schools, and hospitals. Whiskey grew Peoria, IL. That’s just a little bit of what we learned from our history study of the area we live it. It’s been fascinating and we’ve met so many interesting people along the way. Our study opened up ways to connect our town to events and eras in our American and even World history studies. It was intriguing to see how the part of the world that we live in every day and take for granted fits into the larger scheme of things. When we first decided to do a local history study, we weren’t sure where to start. Like with almost any research project, we started on the internet. We found lots of good resources to get started. It gave a direction for us to go. After our internet search, we decided that we needed to check out some local history sources. The information we found locally is what made our study come alive. Local history sources are easy to find. Most are easily accessible to the public and those in charge of them are more than happy to share their knowledge. Here are a few local sources to use in your own history project. Every town or county has a local historical society. They may have an office or a meeting place. Try to make contact with someone there. Historians are a wealth of knowledge and love sharing it. These societies often have original documents or artifacts that most people don’t get to see or even know about. Make friends at the historical society and they will open the treasure trove to you! Local libraries often have a local history section with books and articles written about the area. This is a good place to go to research specific local subjects. Librarians are often good sources of information. If you are researching a certain topic about your area, ask the librarian. They may have knowledge or know of additional resources that might help you out. 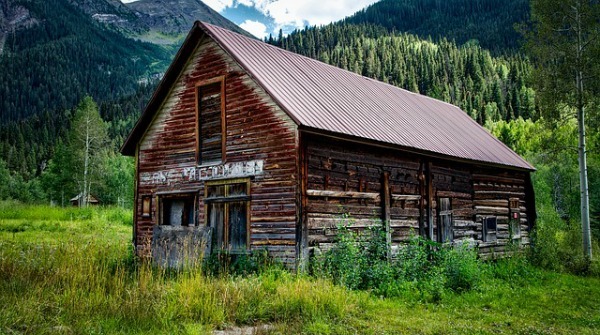 Towns and counties of all sizes usually have some sort of a museum. Even if it is just a small house or space that is only open a couple days a week or by appointment. These local museums have displays, documents, and artifacts that can be useful in your research. Always try to talk to the curator or historian on staff. They will be a fount of knowledge. Visit local historic sites or historic homes. Many of these offer guided tours or at least have someone or something on site to offer information. 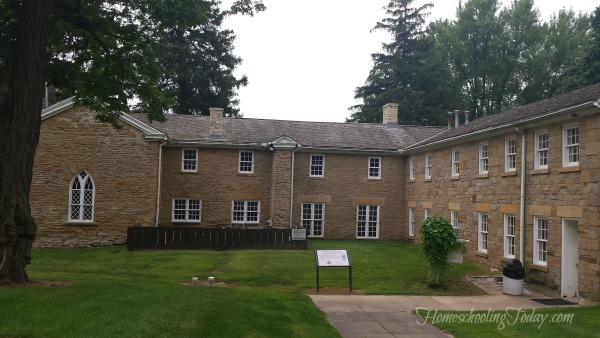 In our area, we have visited historic sites like Jubilee College State Park that was one of the first institutes of higher learning in Illinois. 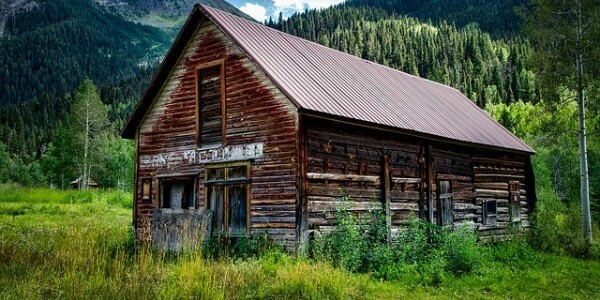 It was built in the middle of the prairie miles from town. We learned about the man who founded the college and his reasons for starting it. It was an interesting look at what life was like in our country in the mid 1800’s. Our area also boasts some amazing homes designed by renowned architects of the time and built by whiskey barrons and politicians who shaped the area. Tours of those homes gave us a look at the personal lives of the former owners. What Local History Can You Study? Ready to learn more about your area? Start by what you know and build from there. What are your curious about? What or who do you want to know more about? If you don’t know anything, visit a museum, historical site, or society. Look for things that interest you and your kids. Enjoy!